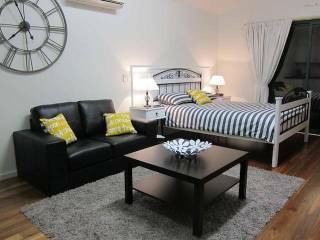 BEACHWALK COTTAGE: 3 Bedroom House 2 QS Bedrooms 1 with ensuite 3rd Bedroom Twin Singles sharing Main Bathroom. Family room with fully equipped Kitchen dining and lounge. HDTV, DVD Player. HiFi sound system iPod iPhone Dock MP3 connection. Free WiFi for normal usage. Front entertainment deck with BBQ. Sunny rear courtyard great for morning breakfasts and just relaxing. 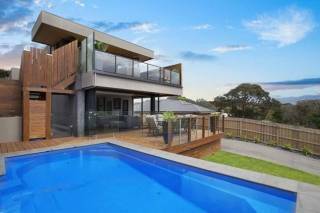 Perfect choice for a comfortable and Unique holiday house "Best Location Centrally Located on the Mornington Peninsula". Many local walks to Ocean National Park or Bay beach for swimming relaxing and sun basking with marvelous walks and magic romantic sunsets. Blairgowrie Tourist Shopping Villages 15 minute walk 5 min drive for great cafes restaurants supermarket with liquor shop chemist butcher newsagent post office. Sorrento 5 minutes drive to Tourist Shopping Village for Boutique Fashion Shops supermarket cafes and restaurants Banks Theatre. Check in time is from 2 pm.Check out time is prior 10 am on the day of departure or by arrangement. Beachwalk cottage is a "Non Smoking indoor" environment. A deposit of 30% is required to confirm the booking. If the deposit is not rceived within 7 days of booking date, we reserve the right to accept another booking. The balance of the total amount is payable 14 days prior to arrival date. Take the Point Nepean Rd to Blairgowrie Village. Turn into St Johns Wood Rd at Shopping Village. Drive 1 Kilometre to Melbourne Road at Intersection Turn hard right into dirt service road amongst trees to cottage 300 metres. Sorrento 5 minutes drive by Car. Beachwalk Cottage is Centrally Located. 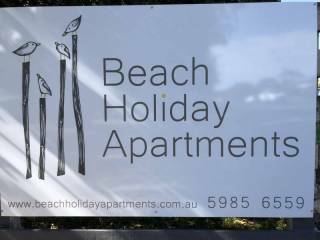 The Best Place on the Mornington Peninsula for swimming surfing relaxing and enjoy walking or for great Romantic Sunsets walks and Panoramic views. Sorrento or Blairgowrie Tourist Villages have great Cafes, Restaurants Supermarkets Bakeries etc. Ladies fantastic Boutique shops for Great Fashion choices and Bargains. Wineries are 10-15 minutes by car to Red Hill for a great choices including T Gallant, Montalto, Port Phillip Estate, Red Hill Estate, Pier 10. All of these wineries are great just for a tasting, or having a meal at a their Restaurants or Bistro type cafe. Arthers Seat is great for the view for a picnic, or Arthurs Restaurant for a meal or just coffee and cake and enjoy the View across Port Phillip Bay. Visit Sea Winds State Park picnic area. Visit the Enchanted Maze and Garden & tree Surfing great for kids and families for good afternoon outing to get lost or amongst the Tree Tops. Golf Courses 9 minutes by car. Guests always welcome at courses like Cape Schanck National,The Dunes, Sorrento, Portsea for a Great golfing experience on these World Standard Courses. Historic Point Nepean Fort at Portsea for a Great day out, take a picnic basket. Ride on the Tractor Bus Enjoy the old Quarantine Station when sailing ships arrived in the earliest 1800 before going to Melbourne and the Old Fort built to protect Melbourne against the Russians in the 1850 Gold rush era truly amazing, Great for both adults and kids. Ferry to Queenscliffe what a great day out for couples and families going to Queenscliffe across towards the entrance to Port Phillip Bay for a great view of the Luxery house of Portsea or maybe see a Pod of Dolphins if you are lucky. Queenscliffe has the Marine Museum the Lookout Tower or the Ocean Park for a Picnic. There are many Cafes and Restaurants and Boutique shops and Art Galleries and many Historic Houses.